(Kordiagraf) - Part of the new Parfuma collection by Kordes. This beautiful, sensuous rose is everything you could want in a Hybrid Tea. 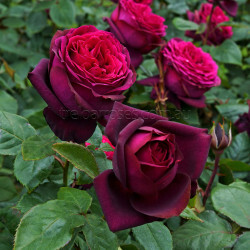 From buds that are almost black, the cupped flowers emerge with a unique violet-red, before maturing into blooms that display a spectrum of colour from red to violet purple, to even darker hues. The sophisticated, sensual fragrance of floral and fruity aspects enhance this very desirable rose. 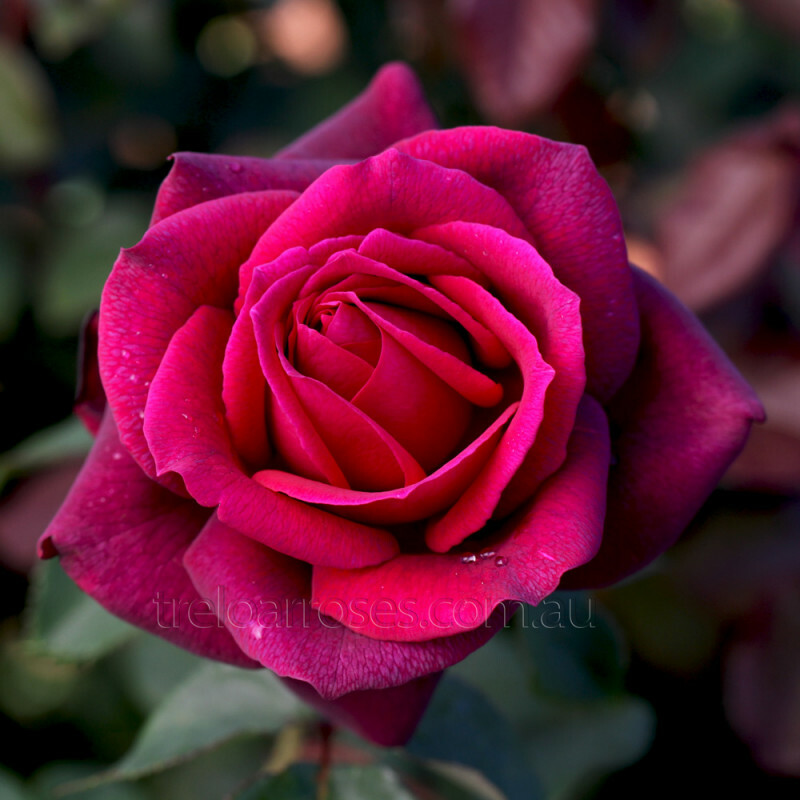 The glossy green foliage has exceptional disease resistance, proven by its prestigious ADR award in 2014 and Bronze Medal and Most Fragrant Rose award at the Adelaide National Rose Trials in 2016. Neat bushy habit to 1.2m tall. 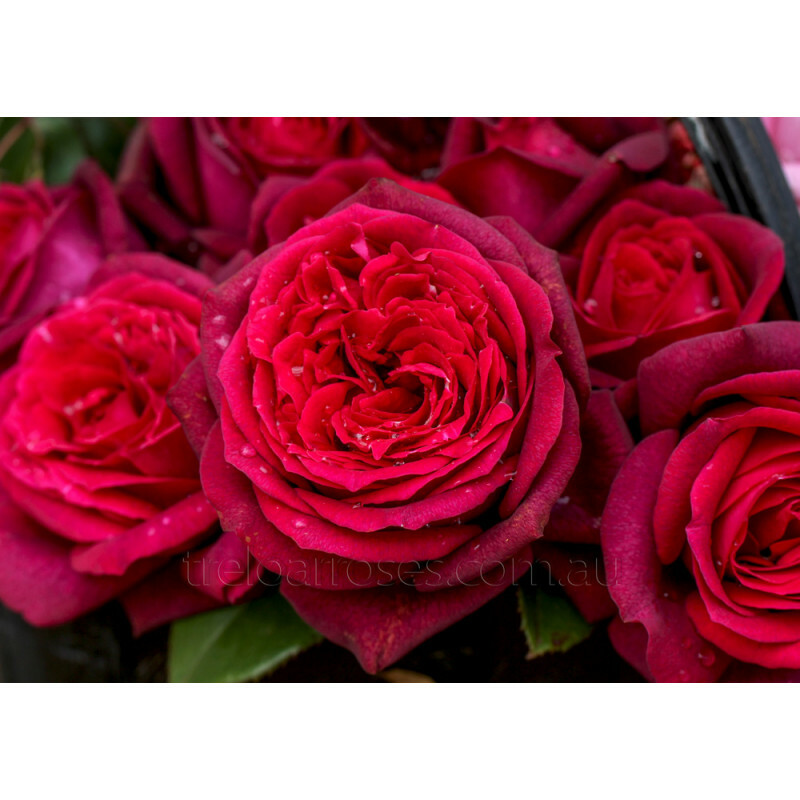 The floral and fruity aspects of the fragrance resonate in total harmony. The classic notes of rose are enhanced with a touch of lemon and a base note of rose geranium. Litchi gives a bright lively note. 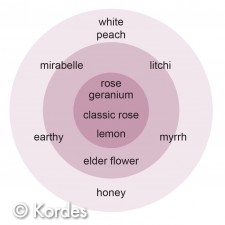 Also present are the scents of elder flower, peach and plum. The scents rest on a sweet bed of honey and earth tones. 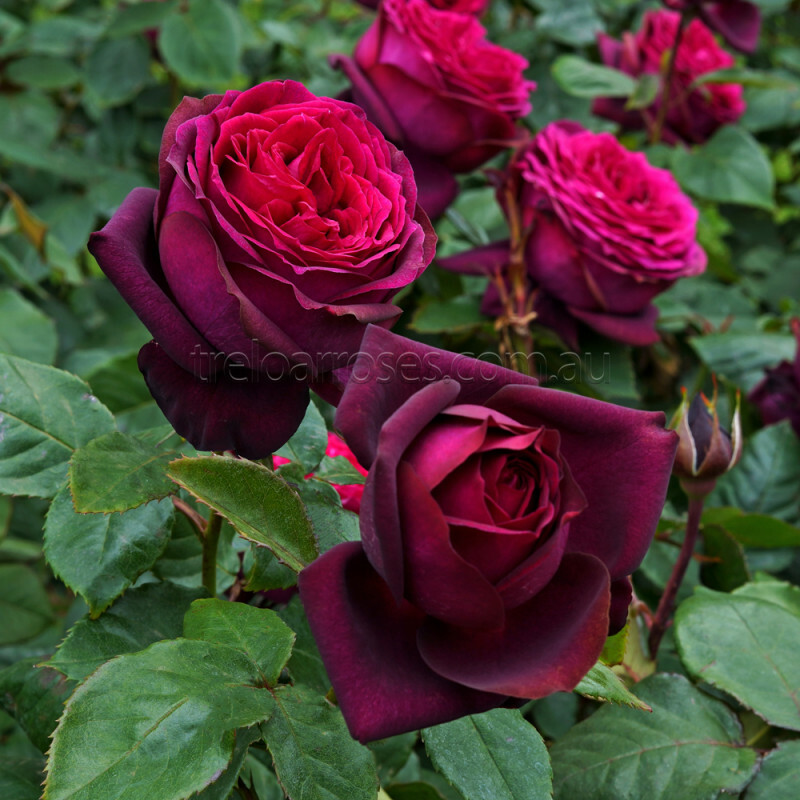 Peak Fragrance: At noon and in the evenings. (Kordiagraf) - Part of the new Parfuma collection by Kordes. 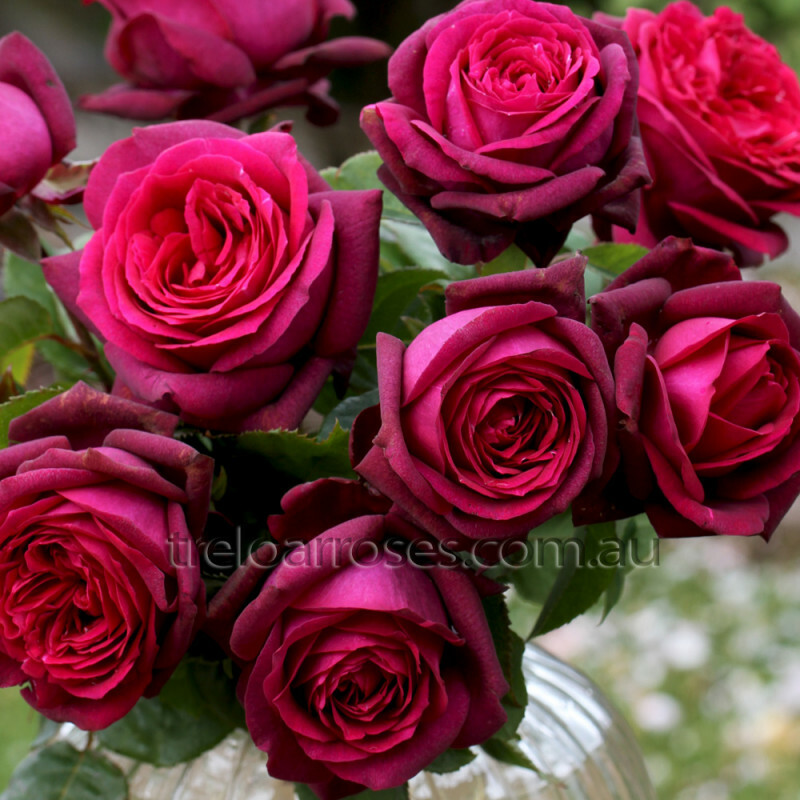 This beautiful, sensuous rose is e..